The AltCar Expo in Santa Monica is the largest gathering of hybrid and electric vehicles technologies on the West Coast. Conceived and initially run at a time when the Toyota Prius was the only commonly-known hybrid on the market, the AltCar Expo has grown rapidly alongside the rise of hybrid and alternative-energy vehicles. The URB-E team is very proud to be included among such transport efficiency trendsetters as Toyota and the L.A. Metro. The URB-E folding electric scooter was created to solve the "last-mile" problem that plagues commuters. 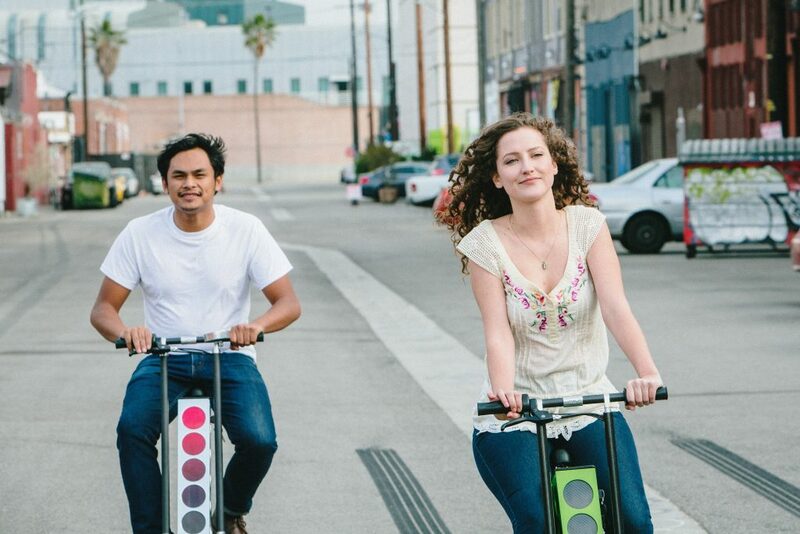 With the URB-E, a commuter can easily access the Metro or replace their car for short trips. What this does, if enough people adopt an URB-E lifestyle, is reduce traffic congestion and lower harmful vehicular emissions. With more and more people moving to cities every year, there is a definitive need for an alternative to cars. Electric cars are a great substitute for gas-powered vehicles in reducing emissions, but they contribute to the rising traffic problems in many America cities. Public Transit is a great way to reduce emissions while at the same time reducing traffic congestion. The problem is, who lives or works that close to a Metro or bus stop? The URB-E is the commuter's bridge from their home or work to public transit. Quick, compact, and reliable, the URB-E folding electric scooter can get you 20 miles on a charge and then fold away once you've arrived. At the AltCar Expo, the URB-E will be right alongside other solutions to rising vehicle emissions, and represents a significant solution to urban commuting troubles. Come check us out at the Santa Monica Civic Center from September 16-17! We will be presenting the URB-E to attendees who have come from all over the world to see the future of transportation. And if you can't make it out to Santa Monica, you can always give us a call at 626-460-8113 or come visit our headquarters at 54 W Green Street in Pasadena for a preview of the future of transportation! Read more about the AltCar Expo at www.altcarexpo.com/. If you're interested in checking in for the Expo, just click on the below Facebook event!